Tonight’s Real Housewives of Orange County just ended. Real Housewife of Orange County alum Peggy Tanous started off as friends with Alexis Bellino but they did not end the season that way. Although Peggy is no longer on the show, we reached out to her for comment regarding Alexis claiming that she “needed xanax” because of being on the show and that she was bullied. Sunday Survey: Is Danielle Staub Relevant in 2013? Danielle Staub’s “fans” keeps insisting that she is returning to the Real Housewives of New Jersey, despite our confirmation to the contrary weeks ago and by Andy Cohen himself last week. Despite this all, her fans on Twitter keep clinging to hope that she is returning to the show. It’s not going to happen this season. See Caroline Manzo Give a Keynote Speech Tomorrow! This one should be interesting! 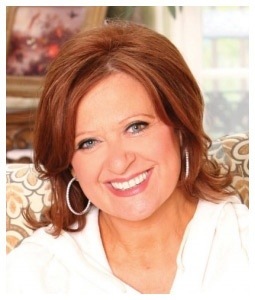 Caroline Manzo is a keynote speaker tomorrow at a women’s expo! 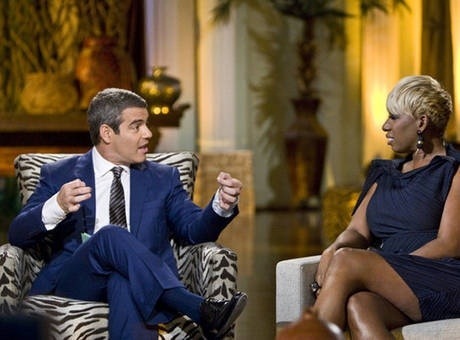 Saturday Staturday: So Who Does Nene Want Off of RHOA? So you have spoken! We have the answer of whom you believe Nene Leakes wanted to tell Andy Cohen to kick off of the Real Housewives of Atlanta. 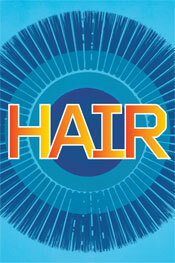 If you haven’t seen Hair before, you are in luck! It is coming to the State Theater in New Brunswick, NJ for one weekend only! At least once a year, I take out my Real Housewives of New York DVDs and rewatch Scary Island. Those three episodes were Bravo at its best. Andy Cohen Answers: How Does Season 5 of RHONJ Begin? Andy Cohen was on the Wendy Williams Show earlier this week and spoke about how the new season of the Real Housewives of New Jersey begins.